I often times wish that I could build a city that would take all my favorite parts and elements of all the places I've lived and combine them all in one dreamy utopia. My city would have the greenery and space of Portland, the weather of the Bay Area, the diversity and culture of New York City, Amsterdam's bicycle network, and London's underground system. Then there'd be practical stuff too: the doctor in San Francisco that I love and the dentist in New York City that I love even more would all be in one place. 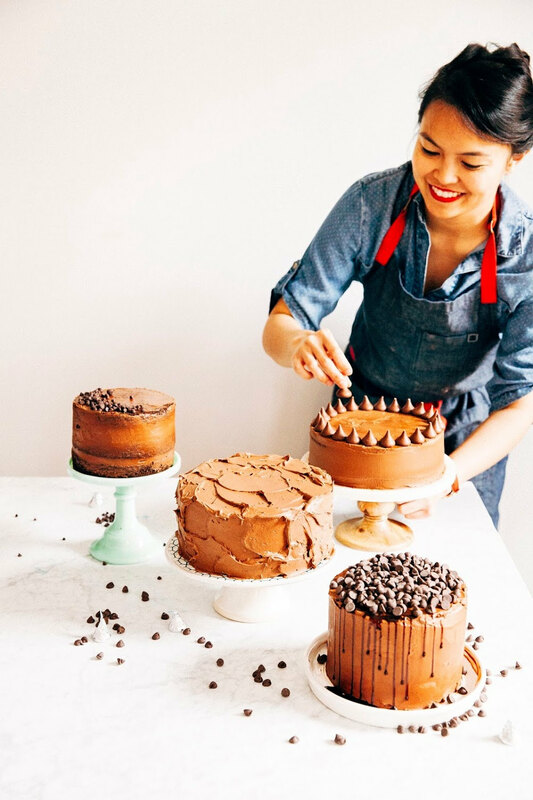 Family and friends in Manila, London, Los Angeles, Minnesota, and New York would all live a bike ride away, and all my favorite restaurants and bakeries would be in the same city. Unfortunately, that's not the real world and I'll have to make do with taking advantage of travel as much as I can to visit all my favorite places and people. I'm back in New York for a hot second and I've been spending the days running around with friends to eat all the delicious things that I can't get in Portland: pizza, bagels, and Jewish fare like lox, latkes, and babka. Okay, to be fair, most of those things actually do exist in Portland but are such inferior versions that they aren't worth the calories!!! If everything's going straight to my waistline, it might as well be the best version of everything possible... right? Anyway, one of the restaurants I made a priority to visit while I was here was Russ & Daughters Cafe. It's a place that would definitely exist in my utopia of all my favorite things since I absolutely love the food there: their lox is incredibly fresh, their latkes crisp on the outside and soft in the inside, and their homemade Concord grape soda tastes like candy. In real life though, wait times for a table are frequently over an hour and the space gets crowded and loud fast. I usually don't have any patience for lines and crowds, but their babka French toast keeps me coming back. 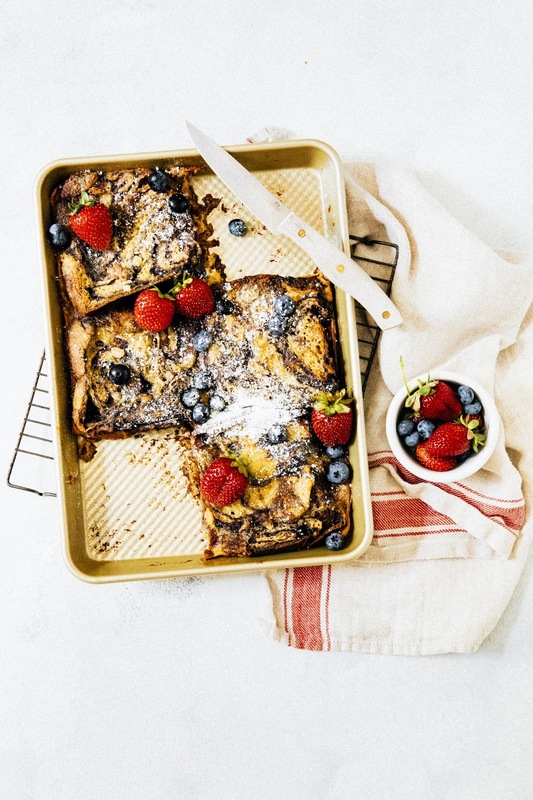 It's thick and hearty, custardy but not too sweet, and griddled to crisp perfection. 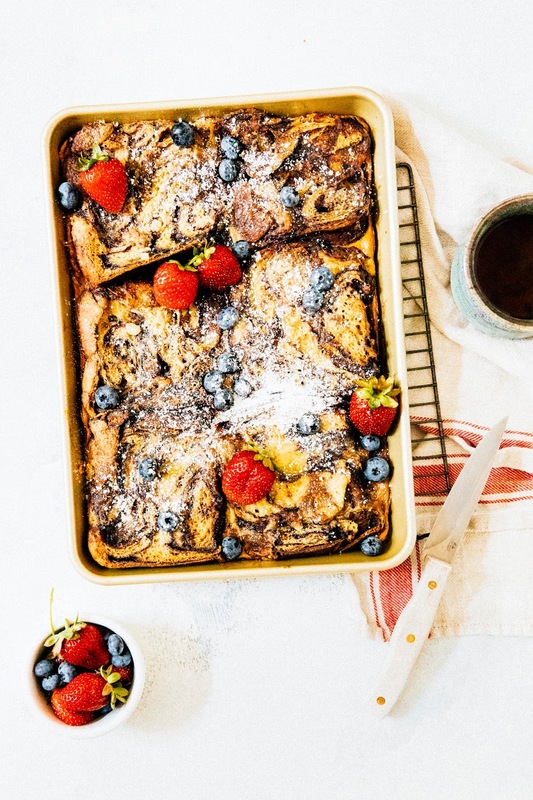 I've been playing around with some babka French toast recipes at home to try and recreate it, without much luck. 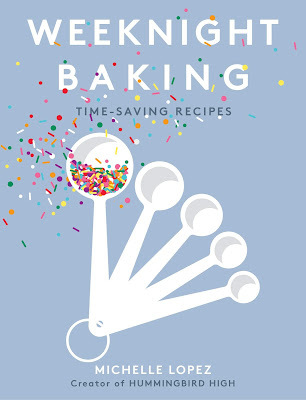 This recipe, adapted from Food52's Baking cookbook, isn't quite the same but has its own merits. 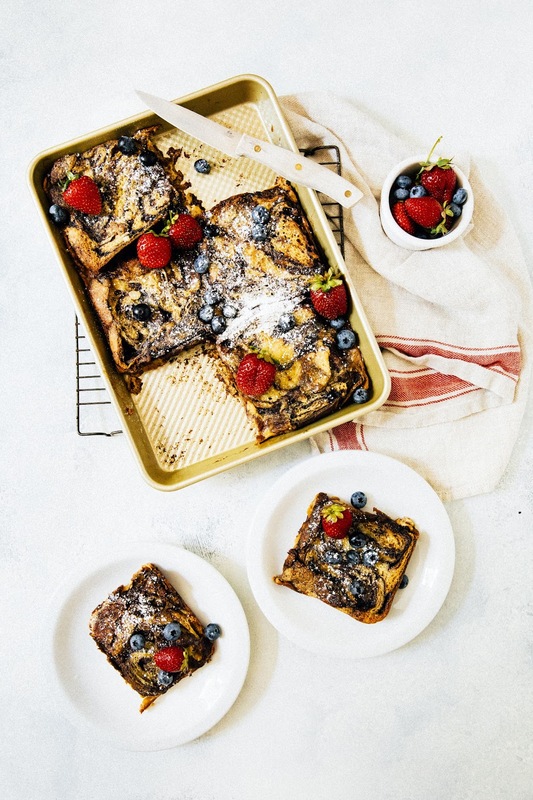 Baked French toast never gets quite as crisp as griddled ones, but it's far easier to put together for a big crowd. It also takes on a soft and custardy texture more similar to bread pudding (for all you bread pudding lovers out there). Give the recipe a shot and let me know what you think! The Jewish delis, bakeries, and stores of New York City have a dirty little secret: most of them don't make their babka themselves. Dean & Deluca, Russ & Daughters, and Zabar's are all known for their babkas, but all three repackage them after purchasing them from the same wholesale retailer: Green's. 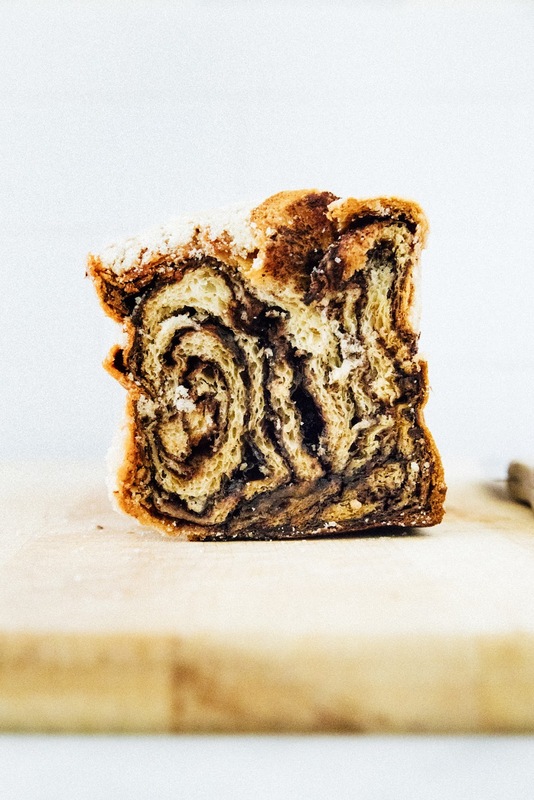 Green's makes a beautiful babka that's taller than most, allowing for large, dramatic swirls that ensure each bite has a chocolate custard flavor. If you're in New York City and on a budget, I recommend sourcing it from Whole Foods as their generic babka is also just another repackaged Green's loaf. For non-New Yorkers, now you know the secret. There's no need to fly here — just order Green's babka online. If you're looking for a bakery in New York City that actually does make their own babka, check out Breads Bakery. It's one of my all-time favorites in the city, and they also make incredible rugelach and marzipan cookies. This list from Grubstreet also has some other great-sounding suggestions. Generously spray a 9 x 13-inch glass pan or metal sheet pan with high sides with cooking spray. Arrange 6 thick slices of babka in one layer on the prepared pan; set aside. 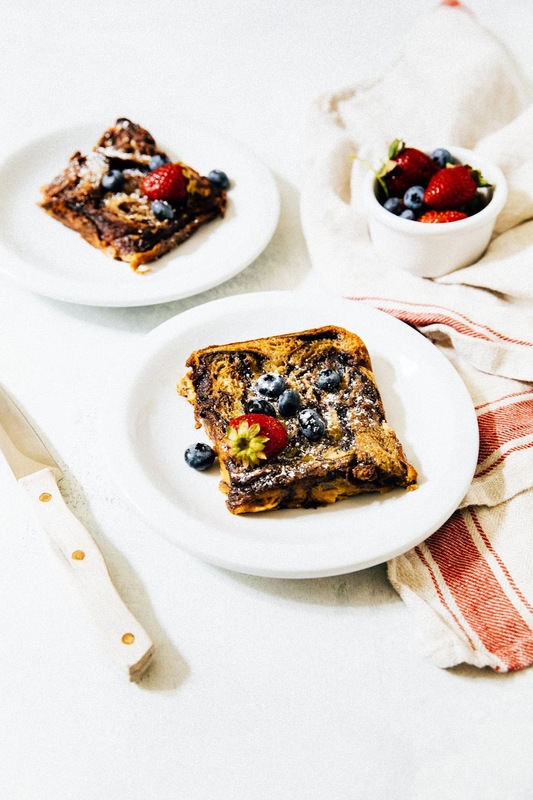 In a medium bowl with a lid or spout, whisk together 1 cup heavy cream, 1 cup whole milk, 3 tablespoons sweetened condensed milk, 3 large eggs, 1 teaspoon pure vanilla extract, 1 teaspoon ground cinnamon, and a pinch of kosher salt. Pour evenly over the arranged babka in the sheet pan. At this point, don't worry if it seems like there's too much liquid in the pan — the babka will absorb most of it! Cover with plastic wrap and refrigerate for at least 6 hours, preferably overnight. When you're ready to bake, center a rack in the oven and preheat to 350 (F). Sprinkle 2 tablespoons demarara sugar and 1 tablespoon unsalted butter pieces over the bread. Cover the pan with aluminum foil, tenting it a little so that it doesn't touch the surface of the babka. Use the tip of a sharp knife to poke several holes in the foil so that steam can escape. Transfer to the preheated oven and bake until warmed through (a knife inserted into the center should feel warm to the touch), about 25 to 30 minutes. Remove foil and bake until deeply browned, 35 to 40 minutes longer. 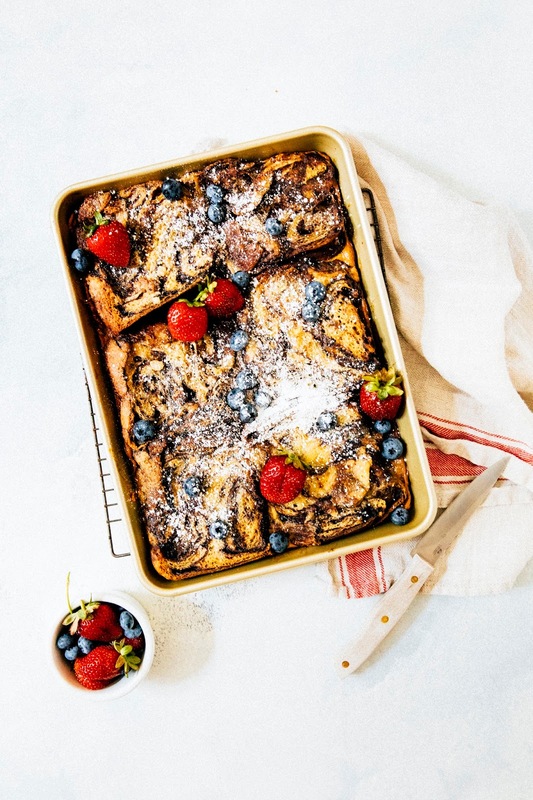 The babka should be crisp and golden; transfer to a wire rack to cool slightly, garnish with confectioner's sugar and fresh fruit, and serve immediately. Enjoy!